The first batch of completed properties – all at affordable rent – have just been handed over with further units scheduled for release later this month. “The St Mary’s allotment development is interesting as properties are being finished to a higher environmental standard and we have been keen to pay tribute to the area’s horticultural heritage with streets named after varieties of potato. 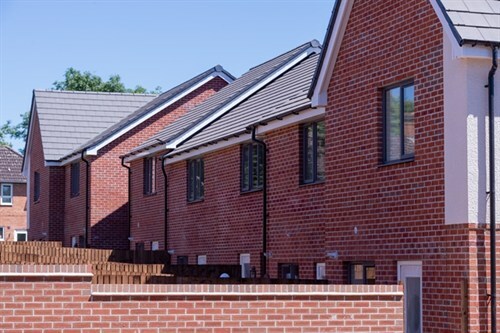 Gary Turner, Partnerships and Investments Director for Westleigh, said: “We are delighted to welcome the first residents to the affordable homes at our St Mary’s Road development. These homes are going some way towards addressing the shortage of affordable properties in the local area. The other developments are at Wolsey Island – known locally as Sock Island after the hosiery factory that once stood there – and on Green Lane Road.